Tenerife Climbing House, Tenerife, Hiszpania : Rezerwuj teraz! Staying in the Climbing House will give you everything you need. 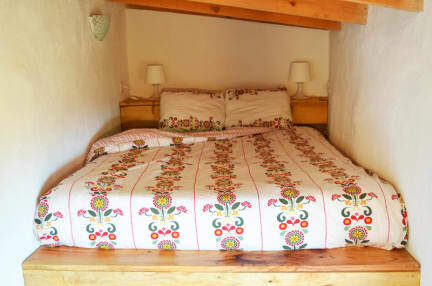 Comfortable beds with bedding. Lockers big enough for your climbing gear. Lots of space to relax, meet other climbers and enjoy the sunset from the rooftop after a day of climbing. In the Tenerife Climbing House you can get to know the best climbing spots of the island, have a BBQ in the huge garden and sleep comfortably in one of our 5 rooms. We are located in Villa de Arico, a village close to many of the best climbing spots on the island. Villa de Arico is the meeting point for local and international climbers and the beating heart of climbing in Tenerife. 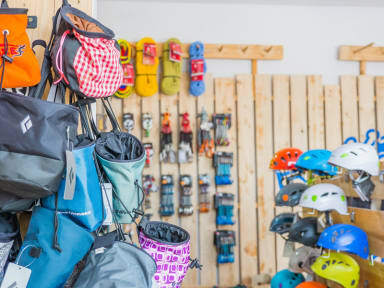 Besides being the centre of climbing, it also offers all amenities you might need. Restaurants, bars, supermarket and some other shops are all within walking distance and the beach is only 7 km away for a refreshing dive after your climbing! If you will arrive later than 21.00, please notify us so we can open the door for you.